The Relief Chair is a unique alternating pressure geri chair cushion. 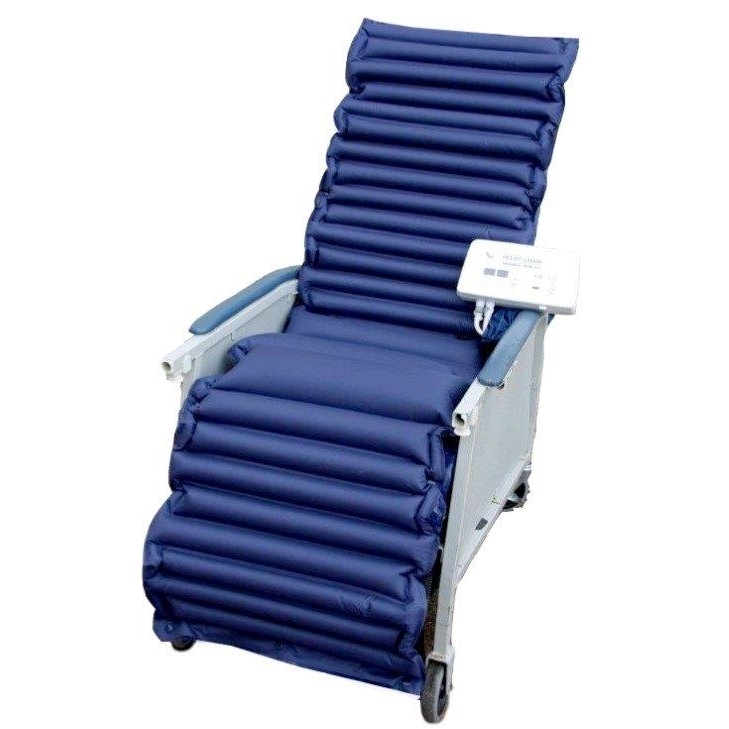 The Relief Chair is designed to aid in the prevention and treatment of pressure ulcers while a patient is “out of bed.” The Relief Chair cushion may be used with a geriatric chair, recliner, or standard high-back wheelchair. The air cells gently alternate, providing low interface pressure and pressure redistribution; offering optimum comfort and pain relief. The low shear/friction cover also reduces heat and moisture that may cause skin damage. 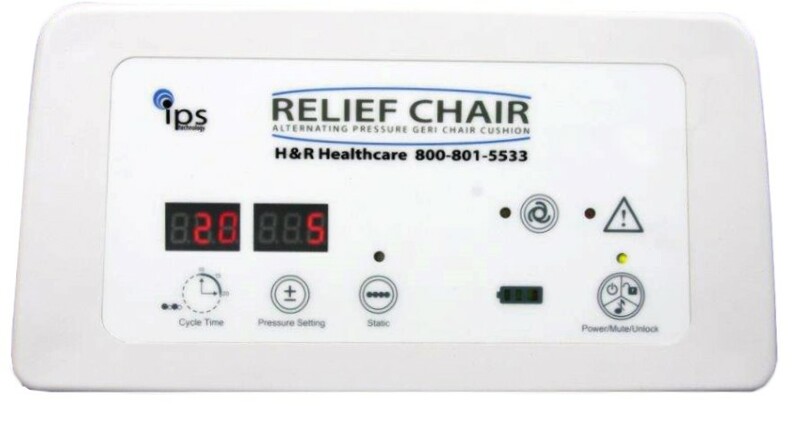 IPS (INTELLIGENT PRESSURE SENSING) TECHNOLOGY IPS technology separates the Relief Chair from other products available in today’s market. IPS technology allows the system to ensure ideal pressure levels in the inflated zone by monitoring the air pressure every six seconds. This controlled movement of the air cells gives the benefit of alternating pressure without the extremely high peak pressures. The result is better patient comfort, lower interface pressures, and superior clinical results.